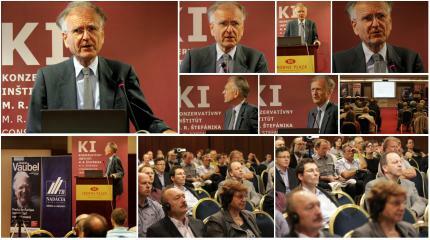 Roland Vaubel is Professor of Economics at the University of Mannheim (Germany). He has received a B.A. in Philosophy, Politics and Economics from the University of Oxford, an M.A. from Columbia University, New York, and a doctorate from the University of Kiel, Germany. He has been Professor of Economics at Erasmus University Rotterdam and Visiting Professor of International Economics at the University of Chicago (Graduate School of Business). He is a member of the Advisory Council to the German Federal Ministry of Economics and Technology. He is associate editor of the Review of International Organizations and a member of the editorial boards of the European Journal of Political Economy, Constitutional Political Economy and Cato Journal. He is also a member of the Academic Advisory Council of the Institute of Economic Affairs, London. 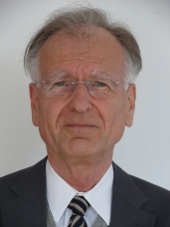 Roland Vaubel is author of The European Institutions As An Interest Group: The Dynamics of Ever-closer Union (2009), Europa- Chauvinismus. Der Hochmut der Institutionen (2001), Sozialpolitik fur mundige Burger: Optionen fur eine Reform (Studien zur gesellschaftlichen Entwicklung) (German Edition) (1990), Strategies for currency unification: The economics of currency competition and the case for a European parallel currency (Kieler Studien) (1978).